This Bittersweet Confections cake was beautifully decorated by the highly skilled flower ninjas at NOLA Flora. 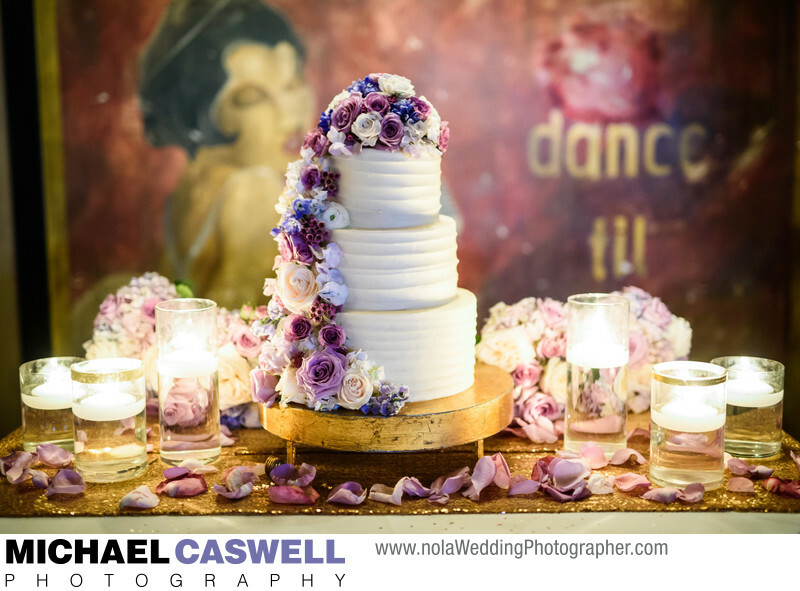 The reception venue was Republic NOLA in the Warehouse District, and I love the classic mural in the background where they placed the cake table. This photograph was captured mostly using just the ambient light of the venue and the candles around the cake.